Over the weekend my oldest son was sick. Luckily it wasn’t the flu but since we were stuck in the for weekend I loaded us up with snacks that were pretty damn tasty all while being on the healthier side. 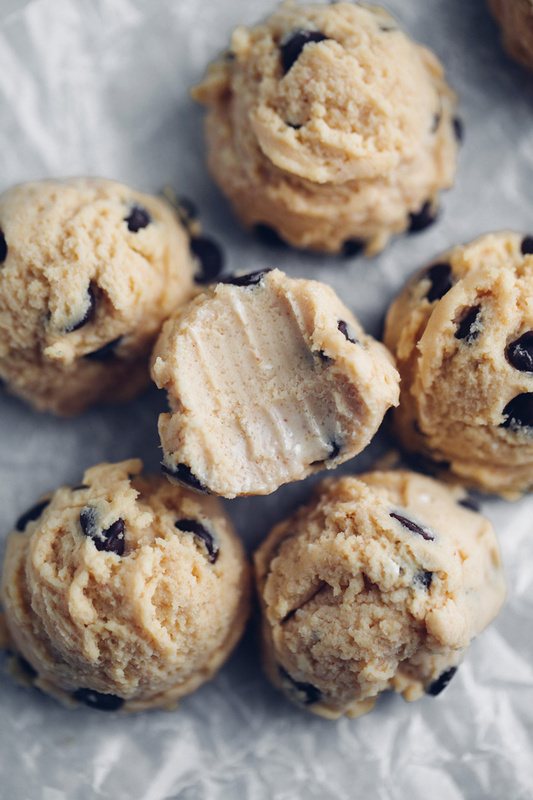 I made these Vegan Cookie Dough Cheesecake Bites because my son loves cookie dough, so does my husband, and so do I. And I’m pretty sure when Oliver is older he’ll love cookie dough too. I mean what’s not to love. 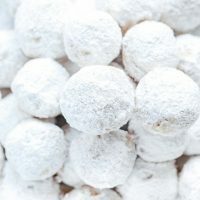 These are really easy to make and the ingredients you most likely have on hand this very moment. It takes 5 minutes to whip together. 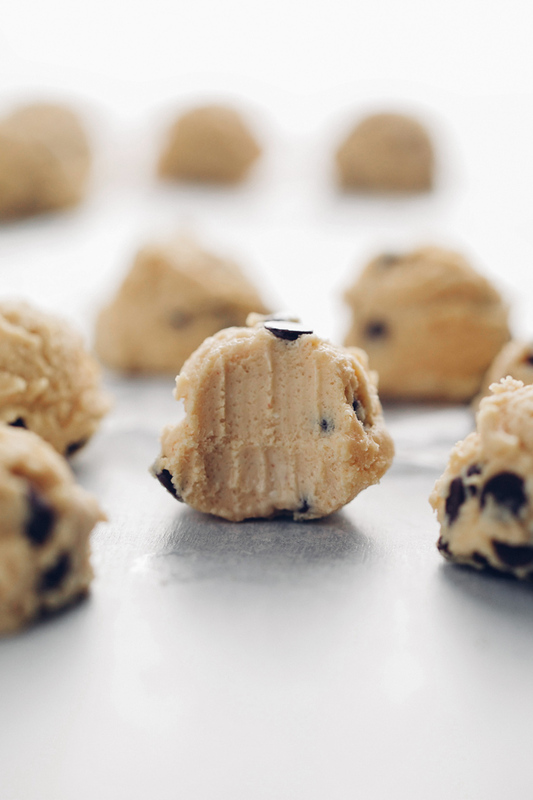 I make these one of two ways: with almond butter or with peanut butter. My son and hubs love the peanut butter version best and I love the almond butter version best. 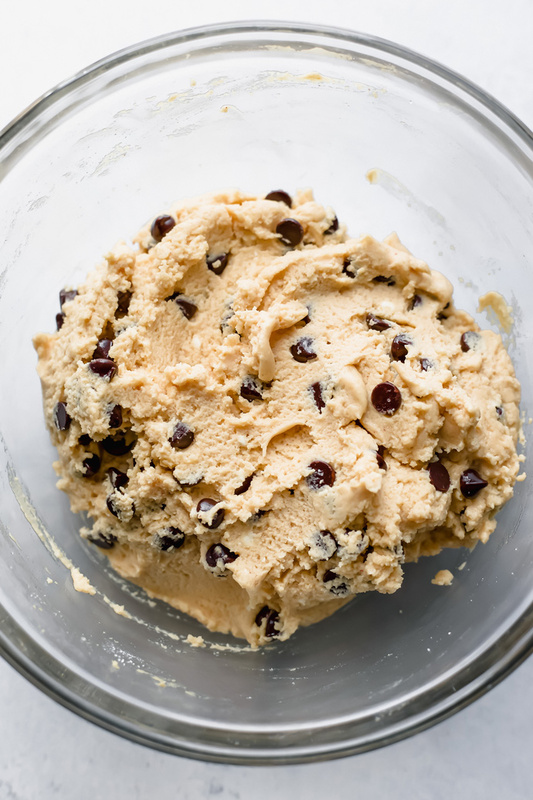 I feel the peanut butter taste tends to overshadow the cookie dough-ness that I like where as the almond butter does not. But the choice is yours. Either way you’ll love em’. 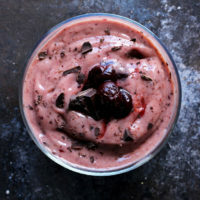 What you’ll need is vegan cream cheese, vegan butter (I like this one), creamy unsalted peanut butter or almond butter, monk fruit sweetener or sweetener of choice, vanilla extract, and dark chocolate chips preferably sugar free. 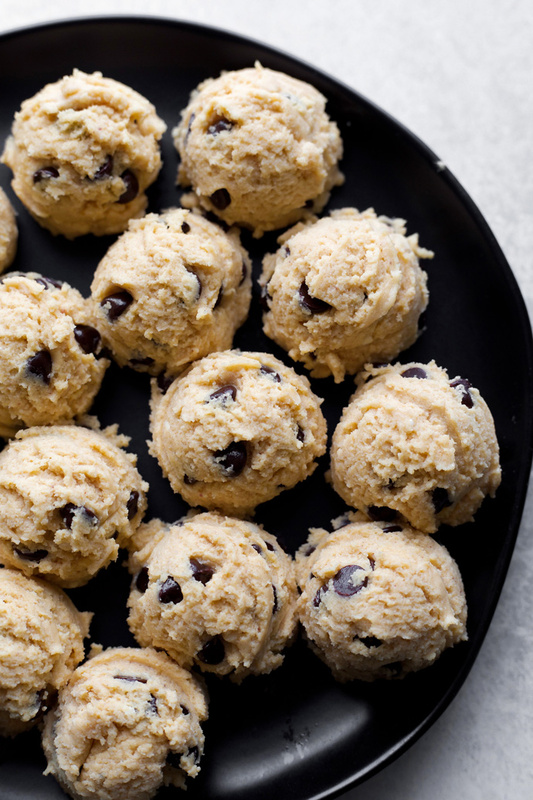 You cream all the ingredients together and then fold in the chocolate chips, totes easy. 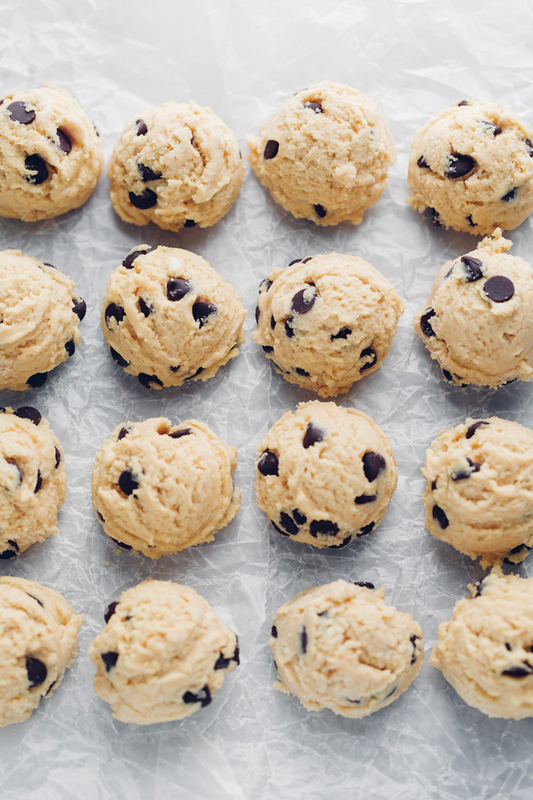 You can pop the dough in the freezer for 10 minutes so it firms up a bit and it makes it easier to form the scoops. I used a tbsp size cookie scooper but you can make them as big or as small as you’d like. I think the tbsp is the perfect size for these bites though. When you’ve made scoops you can put them back in the freezer for 20 minutes or you can eat them straight away. I like to eat them right away and my son loves when they’ve been in the freezer for a while. 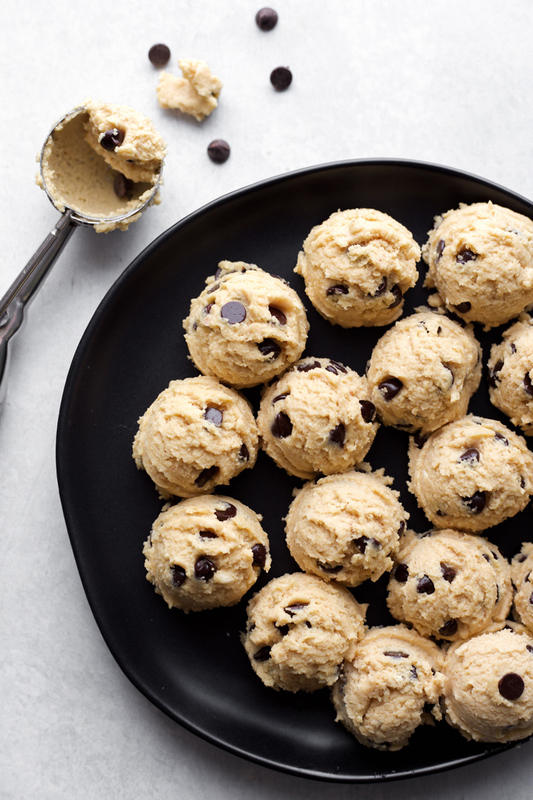 Either way you’ll still get the awesome creamy, fluffy texture of cheesecake all while having the cookie dough experience. To sum it up, these creamy cheesecake bites are sugar free, gluten free, low carb, and basically the perfect little snack to have on hand when you’re craving something sweet. 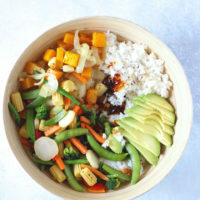 This will do the trick and make you forget those vicious sugar cravings. And what’s even better is that they’re both kid and adult approved. 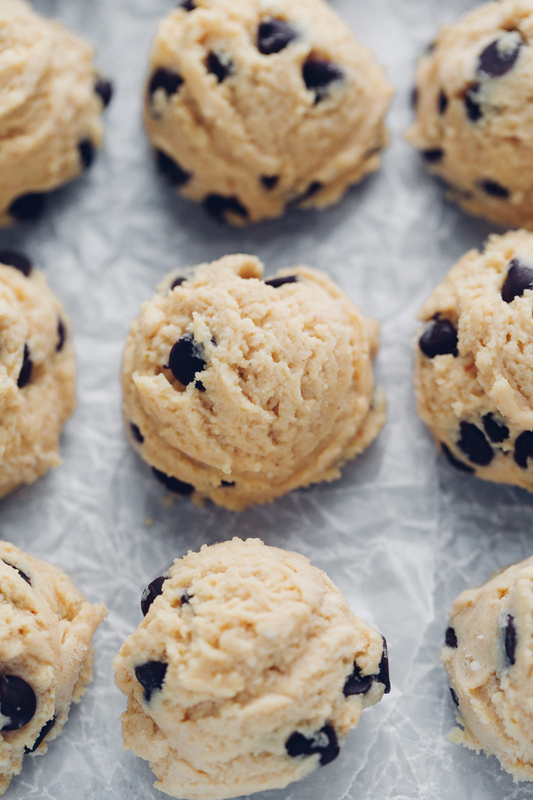 So…are you team Peanut Butter or are you team Almond Butter? 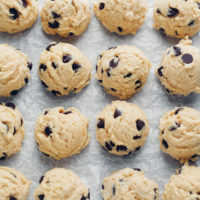 If your a cookie dough and cheesecake lover then these are the bites for you! Made with sugar free dark chocolate chips, sweetened with monk fruit, making this low carb snack a must have. 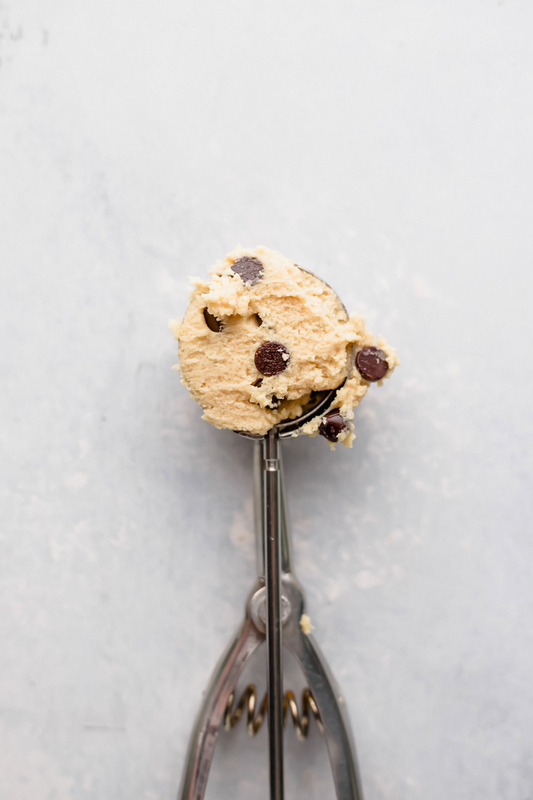 In a large bowl cream all ingredients together using a hand mixer then fold in chocolate chips. Cover and put in the freezer for 10 minutes so the dough firms up. Remove from freezer and use a tbsp size cookie scoop to create the cheesecake bites. Enjoy right away or store in the freezer for a firmer mini cheesecake. Keeps well in the fridge for up to a week and in the freezer two weeks (not that they'll last that long though). Can sub monk fruit with sweetener of choice such as coconut sugar or organic cane sugar. Keep in mind regular sugar will take away from the sugar free part of this recipe and will up the carb count.